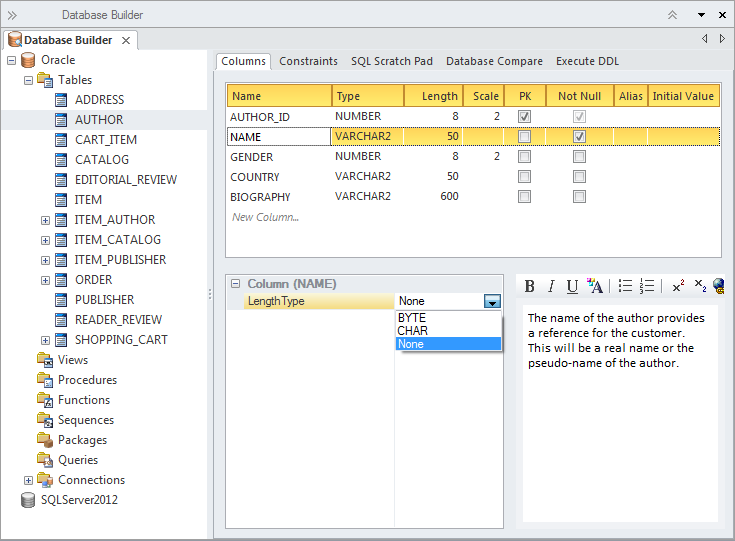 The Database Builder is the primary tool for working with data models. It is a purpose built tool that provides a single interface for performing database-related modeling tasks. New data models and databases can be created or existing ones reverse engineered into the tool. The data modeler, database owner or administrator can work within the tool and can connect through to live databases to synchronize the models with the live databases. There is support for most database management systems and connections can be made to production , pre-production, test or development databases.